The United States of America are full of beautiful and amazing sights. Sometimes, it’s hard to believe that the landscape you see with your own eyes is a reality, because the beauty of nature is limitless. America features a plenty of vivid and memorable natural attractions, which should be visited for sure. So, it’s time to get 14cars car rental and head to 5 most beautiful, in our opinion, country’s sights! 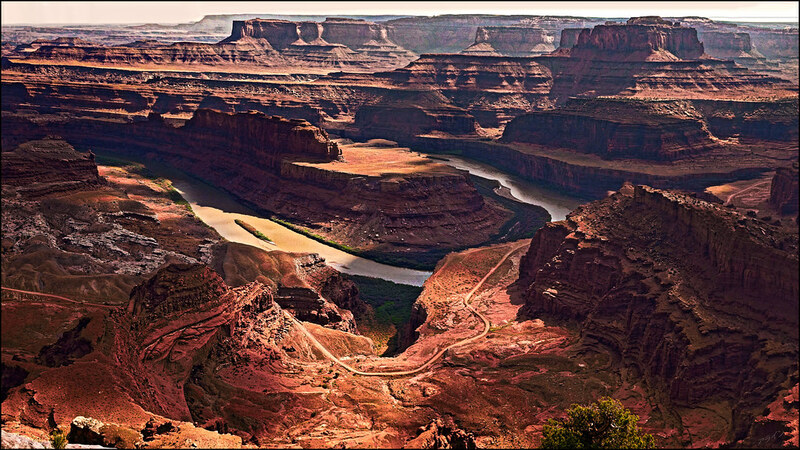 Grand Canyon is one of the 7 natural wonders of the world, and its age is about 6 million years. This natural landmark of Arizona attracts the attention of tourists from all over the world. The canyon is located in the northwest of Arizona, which is 280 km away from Las Vegas. This majestic and grandiose canyon with deep gorges of freakish shapes, steep rocks, caves and multicolored layers of rocks was created by the Colorado River, whose waters for many years have penetrated into the gorge deeper and deeper. Grand Canyon is a home for hawks and vultures, snakes, lizards and scorpions, squirrels and bats, beavers and raccoons, lynx and foxes, deer, snow sheep and many other animals. For tourists wishing to learn more about this natural miracle, excursions on airplanes and helicopters, horseback rides, jeep trips, rafting on Colorado are organized in the Grand Canyon. By the way, hiking is also very popular there. There are several viewing platforms, where you can enjoy stunning views of the surrounding landscapes, as well as cafes, restaurants, souvenir shops and campsites. Maui Island is among the most popular travel destinations in Hawaii. This second largest island of the Hawaiian archipelago features fascinating beauty of pristine nature, luxurious resorts and excellent beaches. This place is ideal for people who prefer to spend an unforgettable vacation away from noisy cities. The island is famous for such interesting sights as Haleakala National Park with the famous volcano of the same name, the beautiful Iao Valley, Molokini Island, the historic city of Lahaina, Maui Ocean Center Aquarium, Honolua bay and much more. The most popular resorts are located on the western and southern coast of the island – Kihei, Kapalua, Makena, Kaanapali and Wailea. In the east of the island there’s is another popular Hana resort, to which leads the highway Hana Highway with incredibly steep bends, 59 bridges and picturesque places. The island is famous for its amazingly beautiful beaches with the total length of more than 50 km. You will find there magnificent white, black and rare red sandy beaches. The fans of outdoor activities can enjoy a variety of water activities – surfing, windsurfing, kitesurfing, kiteboarding, diving, snorkelling, underwater hunting, fishing, as well as submarine experience. Great Falls are several thousand years old. 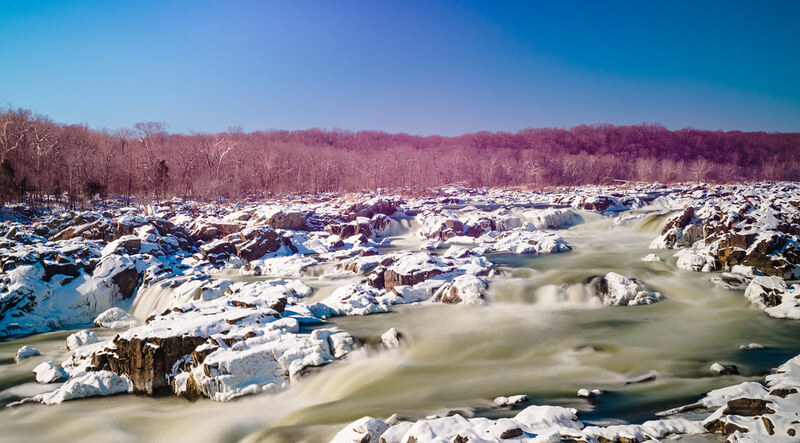 Over the past two centuries, Great Falls of the Potomac River are among the major natural attractions of the US. From the administrative point of view, these territories belong to the states of Maryland and Virginia. Great Falls are located 22 km from Washington. You can get here by a rental car or taxi from the nearest metro stations to the waterfalls: Dunn Loring and West Falls Church (orange line). Power, beauty, and grand streams of clear water – that’s what the tourists will see there. This picturesque place enjoys great popularity among Americans and tourists, as well as among the fans of such outdoor activities as kayaking, rafting, and rock climbing. When visiting Grand Falls, your clothes and shoes should be definitely comfortable: jeans, T-shirt, and sneakers. On both sides of the Potomac River there are Great Falls Park in Virginia and Chesapeake & Ohio Canal National Historical Park in Maryland. 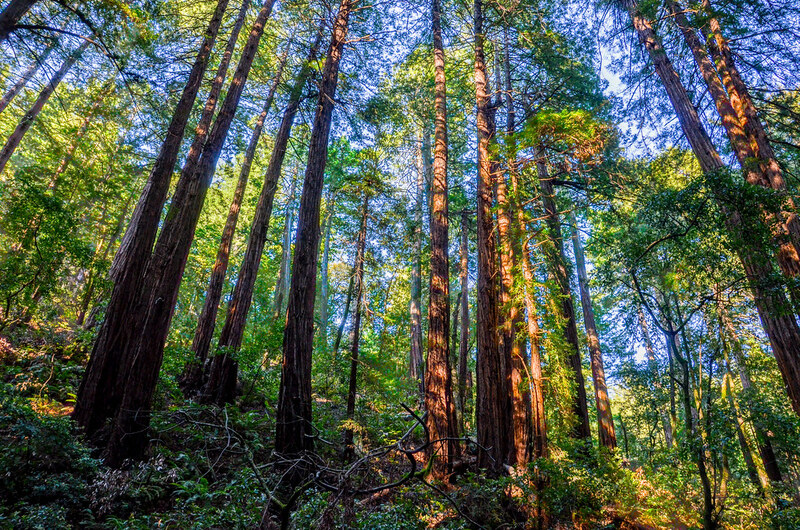 Muir Woods is a natural forest park and a remarkable landmark in San Francisco, attracting around a million visitors from around the world every year. Located 19 km north of San Francisco, it’s a part of the Golden Gate Biosphere Reserve. Sequoia is the major tree of the park. The average age of these gigantic red trees is 1000 years old. In addition to sequoia, maple, fir, laurel, and such delicate flowers as claytonia, trillium and violets that adorn the grassy cover in early spring also grow there. The forest is a natural habitat for birds and mammals. You can see there deer and squirrels, raccoons and chipmunks, spotted owls, bats and thrushes. On the territory of the park there is an information stand with signs of route trails, a shop where you can buy gifts and souvenirs and a cafe to have a snack. If you intend to visit this unique park, be sure to take a light jacket, since it can be quite cool there: the average temperature varies from +4°C to +21°C. 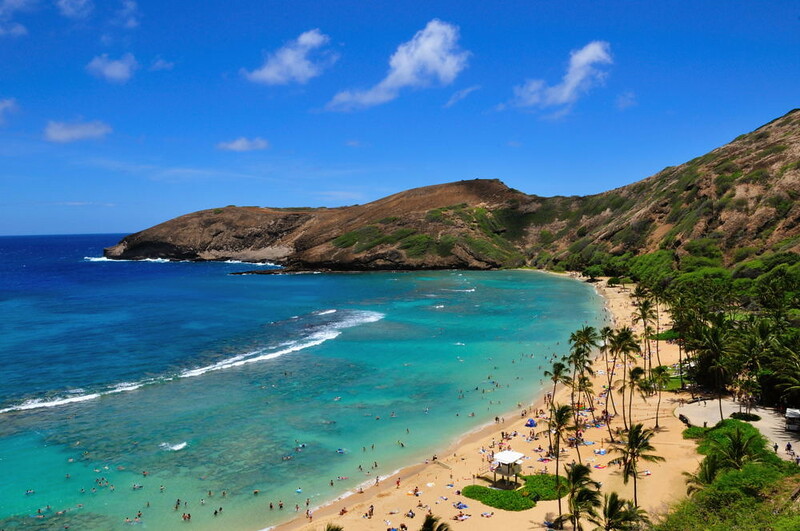 Hanauma Bay is a nature bio-reserve placed in the crater of a volcano on Oahu Island, Hawaii. The bay is famous for its diverse and amazing underwater world. There are over 455 species of exotic tropical marine inhabitants including green sea turtles. A magnificent beach with golden sand and calm waters is one of the best and most popular places for scuba diving. It’s prohibited to feed fish and turtles – you can only swim with them and take photos. There are no any eateries on the beach, so you should bring your food and drinks. Try to visit Hanauma Bay in the morning, preferably until 09.30am, as parking is full during the day and there’s no another places to leave your car there.